A Stevenote is in progress at San Francisco’s Moscone West where Apple’s boss and his top lieutenants are on stage, making headlines with a plethora of iOS 5, Lion and iCloud announcements. The keynote has kicked off Apple’s annual developer conference which runs through June 10. Documents in the Cloud really completes our iOS document storage story. A lot of us have been working for 10 years to get rid of the file system so the user doesn’t have to learn about it. The iCloud service works with App Store, allowing you to see in the store-front app which apps are already installed on your other devices. Tapping the cloud button next to an app will download the app to your device and push it to all other device simultaneously. 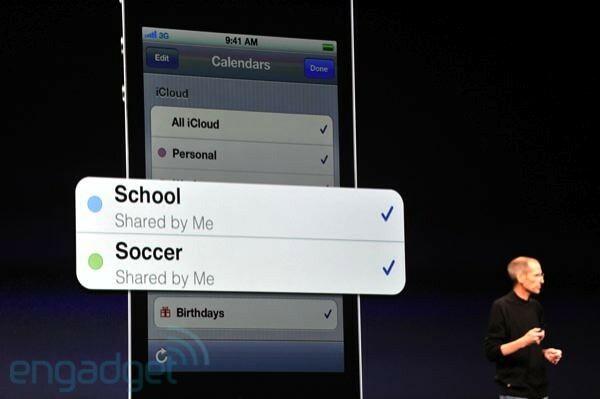 iOS 5 automatically backs up all your important device content into the cloud “once a day”. This includes your purchased apps, books, music, camera roll photos and videos, app data, device settings, home screen and app organization, text and MMS messages and ringtones. As a result, you can buy a brand new iOS 5 device, take it out of the box, turn it on, provide an Apple ID and password and start using it right away, with all you content beamed from the cloud to your device. 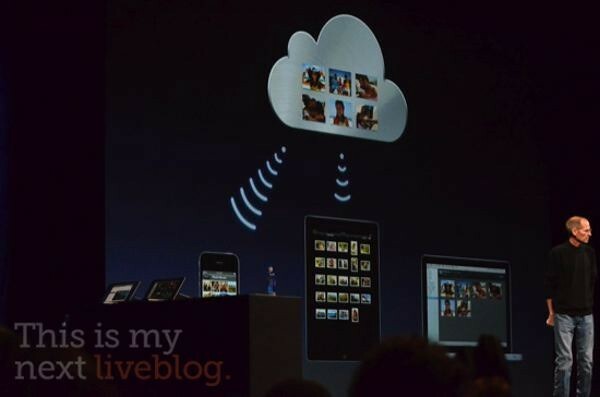 Photo Stream is another new feature that brings the cloud to photos. “I take photos on any device, puts them in the camera roll, and then it’s uploaded to the cloud and downloaded to all of my devices, just waiting for me when I get home. In addition, I can import photos,” Jobs explained. Apple is going to store the last thousand photos on your device in the cloud for a month, Jobs explained. He didn’t say what happens to the photos that have been up there in the cloud for more than 30 days, but presumably they’ll get deleted, archived or something. So, how much is this cloudy thingie going to cost? 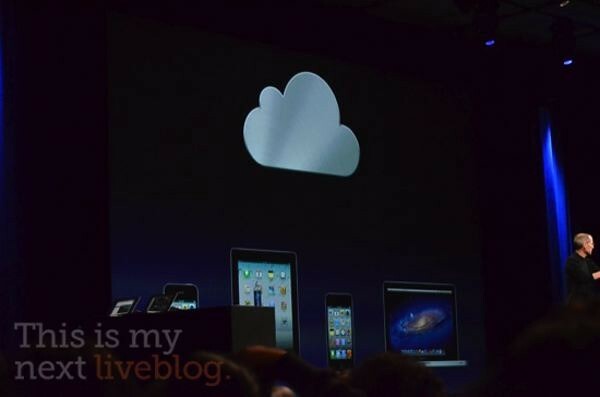 Everyone gets the iCloud features free with iOS 5, which will be available this Fall. The Apps, books, music and Photo Stream don’t count against your cloud storage and Apple is also giving away everyone 5GB email storage. For Apple, which has only dipped their toes into online services, iCloud represents their most ambitious undertaking yet and a shot across Google’s bow. Check out our complete WWDC 2011 coverage and follow us @limerain_com as we update you on the latest news from the keynote.